I've been pretty quiet on the forum the last few months. 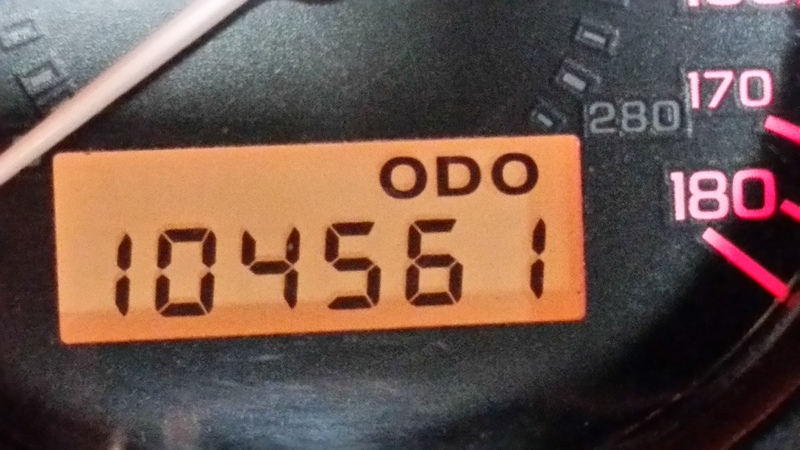 One reason was my 97 VTR was running very poorly and it took me a while to figure it out. 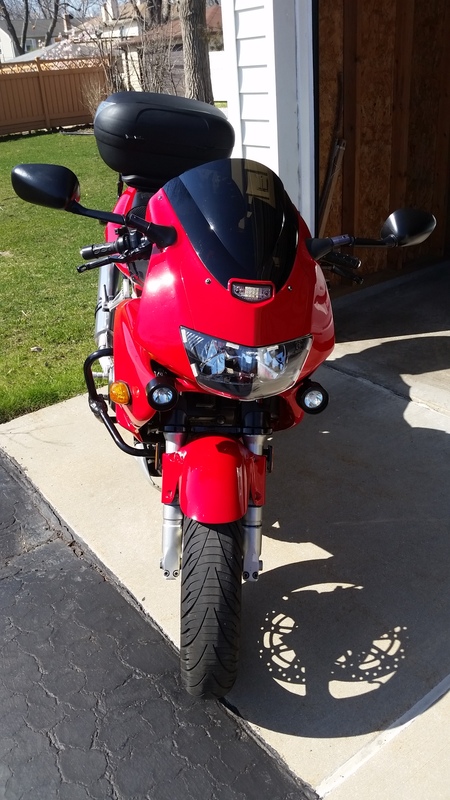 After running a vacuum leak-down test and various electrical and carburation diagnostics, a refresh of one of my 4 sets of carbs did the trick and he (it's not a female) is running like the Red Stallion again, albeit one with 105,000 miles on the clock. Smooth, sneaky fast, torquey, a real handler, and as comfortable as a well formfit shearling slipper. Then the brakes started acting up. Long story short, after decades of never an issue, my last set of EBC front brake pads for my CBR600F4i calipers took out a fresh set of rotors, and then unbelievably, a second set. I had documented in writing and photographically the chain of events, and prepared a report and sent it to EBC in Los Vegas. Low and behold, they sent me a new set of they wave rotors front and rear as well as fresh pads. Stand up company!! 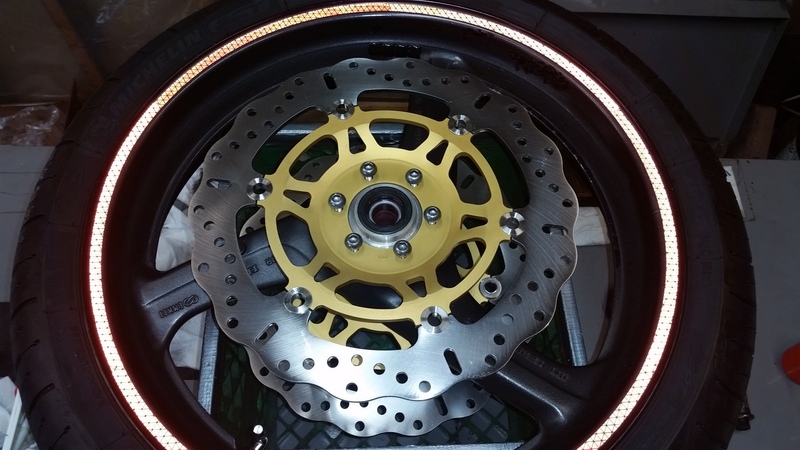 I'm still not quite happy with the front braking performance after both before and after rebuilding the front calipers, and have not figured out the lack of bite yet. 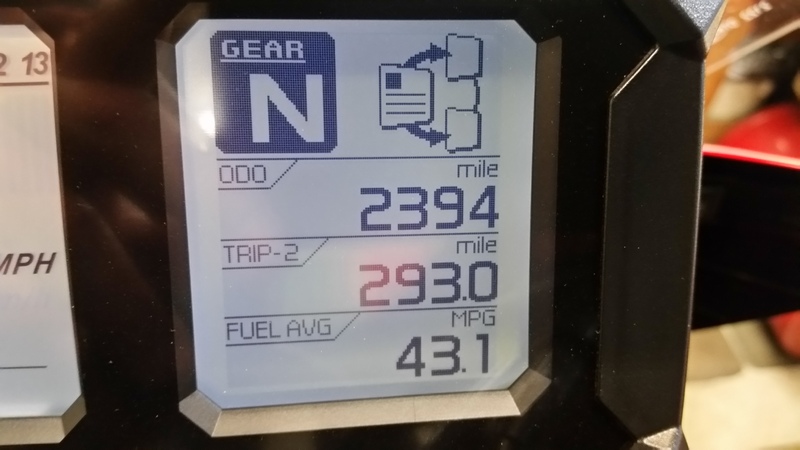 I've been spending too much time on the FJ-09.org forum, researching for parts and mods, spending too much on them and installing same, and in the month I've had it put almost 3,000 miles on my VTR's new little also red brother stallion! 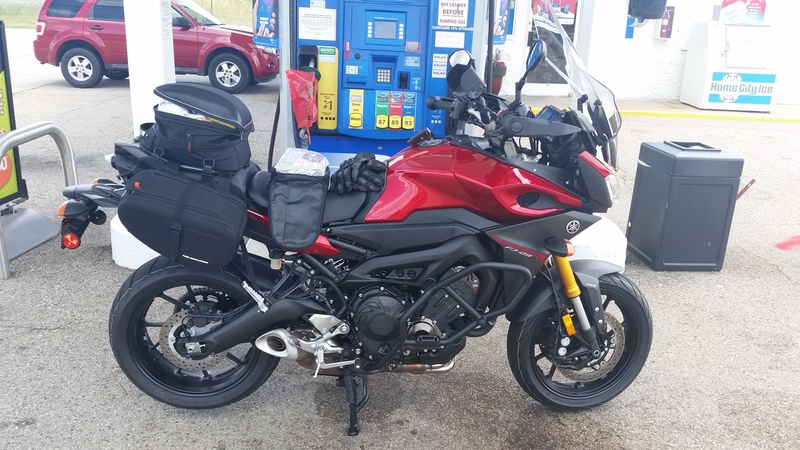 BTW, the FJ-09 now has Shad SH36 side cases with their new 3P mount system and padded custom fit inner bags plus their rear rack that accepts the Shad SH46 top case shown on my VTR, a custom throttle lock, Givi tour screen with MRW X-creen tour spoiler, an O2 controller, Givi 3-point mount case guards, radiator screen, low-profile oil sump drain bolt, coaxial & SAE polarized power ports, cigarette light power port (standard OEM issue), OEM heated grips that are controlled by the left handlebar pod and settings displayed on the dash gauges, rear spools, center stand (standard issue), second low-tone FIAM 130 db pancake horn, LED driving lights, clear headlight protective "lenses", Pyramid Fenda Extenda, handlebar riser and right mirror RAM ball mounts for GPS and cell phone, mirror extenders, sub-saddle weather gutter, trimmed sub-saddle tool tray, Sargent + saddle, folding, extending/shorty & quick reach adjust levers, custom hugger extension, custom shock mud guard, I replaced the OEM handguards with a more protective set from a KTM Adventurer and I'm sure more mods that I forgot but no farkle (nor will there ever be). 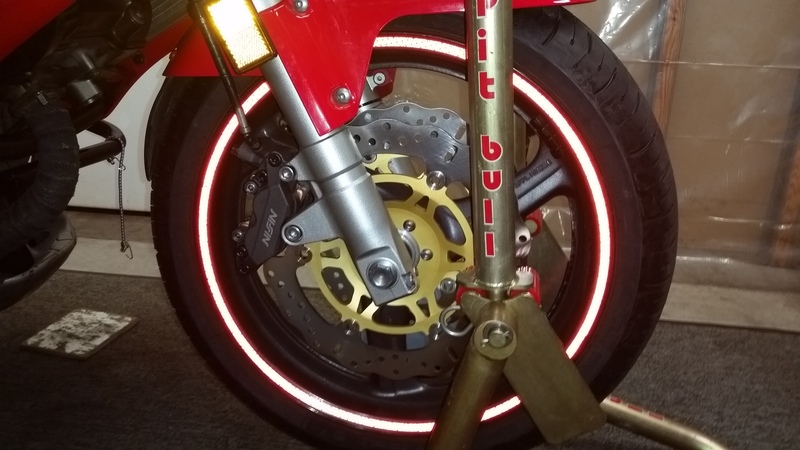 Rear LED auxiliary brake, stop and turn lighting in the works along with installing OEM front turn / running lights on the rear, along with amber side marker lights. Last edited by skokievtr; 08-01-2016 at 08:23 PM. I can't say the same. My MTS is by far the better bike. It's motor is intoxicating, it's pedigree is legendary. 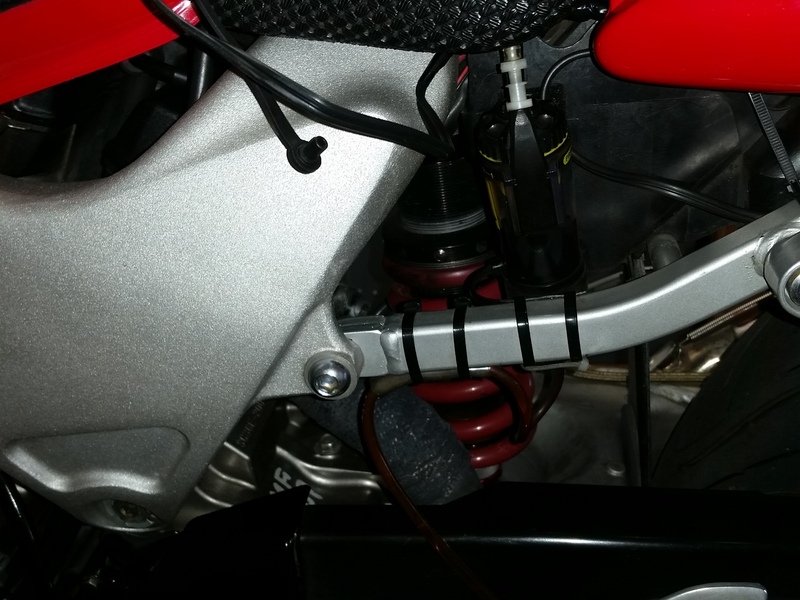 The Ohlins suspenders are amazing. The 4 modes totally transform the machine into very different animals. The ergos are absolutely perfect. Glad to read EBC stepped up to the plate. A well documented case probably tipped the scales, kudos for that. One area I never felt the Hawk came up short was in braking performance (after I did the F4i/ecb hh swap). 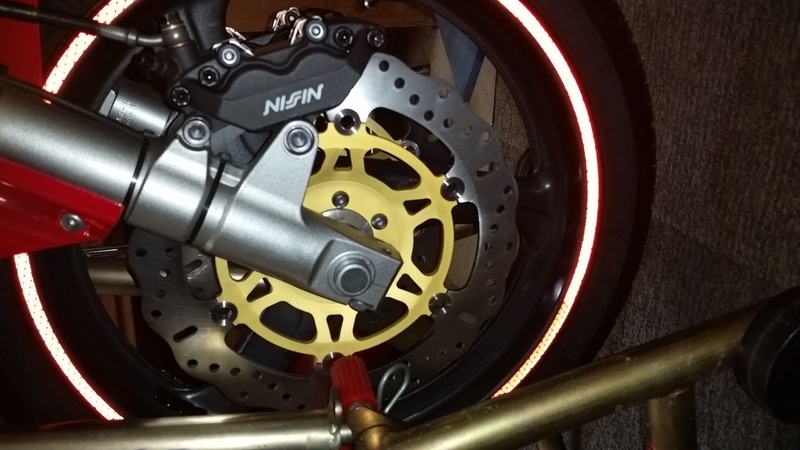 Even after living with the Multi's Brembo set up. My Hawk stops very well. 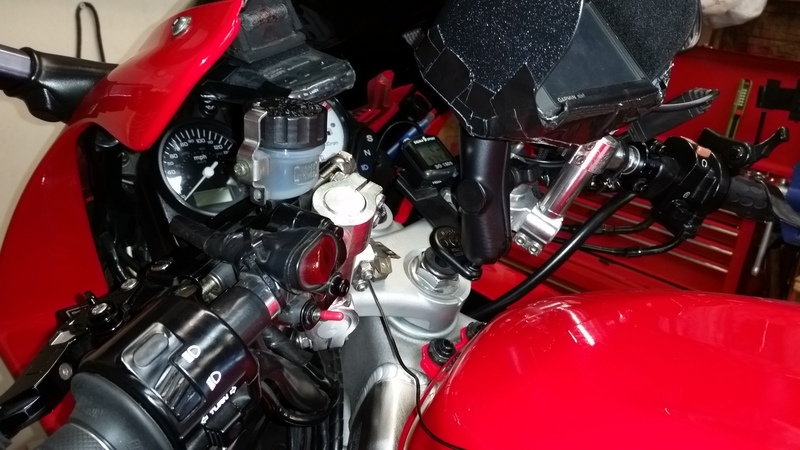 And to comment on the chain, in my opinion, 20k on a 520 on a liter twin isn't too shabby. I'd write it off as a good service life. 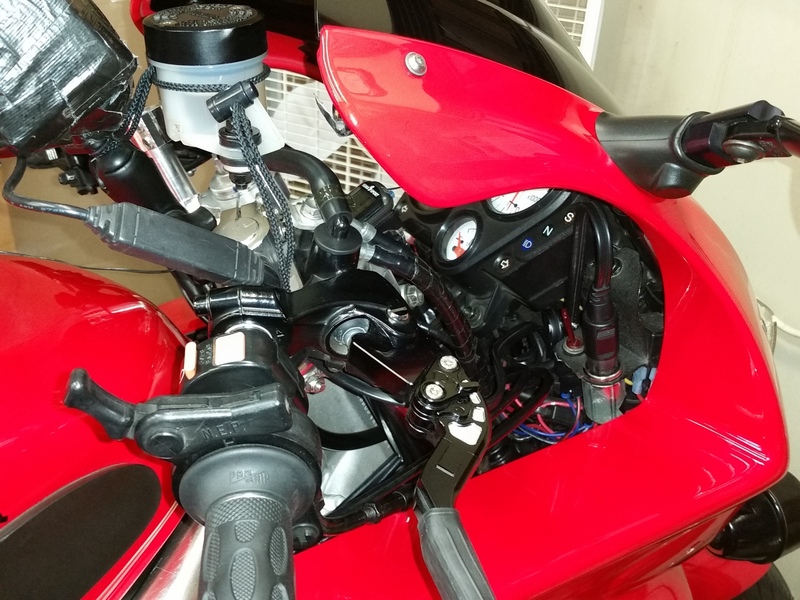 If your referring to a a late model Ducati Multistrada 1200S, I can understand your comments about it but it is also a $20,000+/- vehicle with some of the most advanced electronic rider 'aids" available (and the 2015~2016 has VVT). 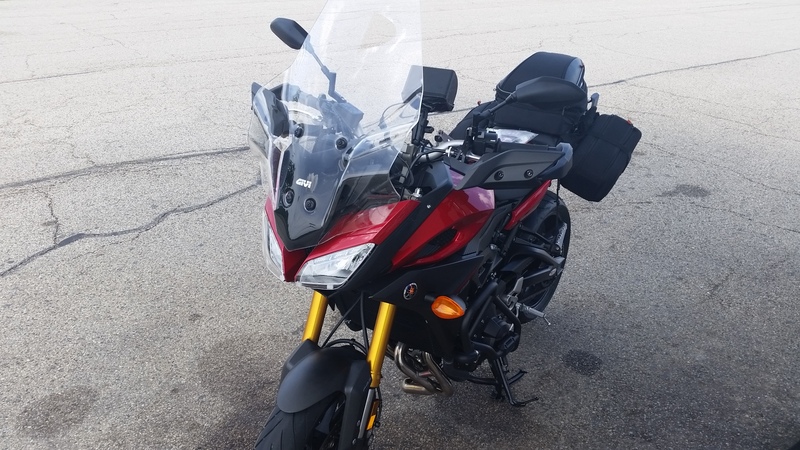 My 2015 FJ-09 was $10,400 out the door including $1,400 in accessories, tax, set-up, cartage and license. I bought it for fully loaded sport touring, as while I have modified my beloved VTR into a sporty sport tourer, it is still a "Gentleman's Express" and does not like a top case on the back and/or side cases. I do not know why my front brakes do not feel right or stop with bite and urgency. Rebuilding the calipers and the new rotors and pads have helped but still no cigar. 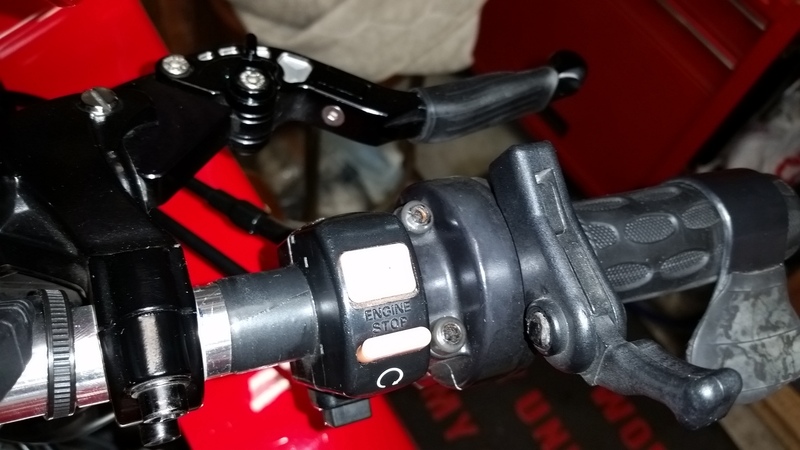 I may try going back to a VTR1000SP1 (2000~2001 RVT / RC51) front master from the currently installed SP2 MC (SP1 @ 19mm vs SP2 @ 17.46mm) to reduce lever travel at the expense of more effort and less feel. This is with dual SS braided lines and always with fresh synthetic DOT 4 and a good bleed. I suppose 20,000 miles out of a 520 chain is acceptable but I'm used to 25,000 or more from the 530 size. Especially odd for chain kinks with the addition of an aux oiler. Those cases really look good on the FJ. I'm not a fan of the pelican hard cases on bikes [of any kind]. Those fit the Yami great. And IMO, the Super just isn't comfortable for the long haul, and by that I mean 5-6+ hour days. I used to be able, but the older I get the more I just want to be upright with less angle on the knees and torso. 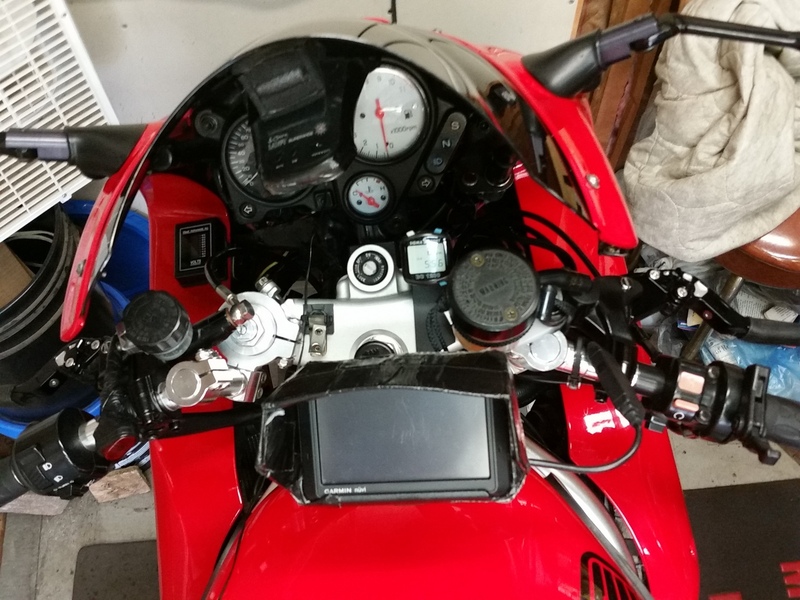 I bought the Multi used, so I'm right there @ 10k (2500 exhaust/chip/filter, additional color matched top case, CalSci touring screen) . 20k miles and it's had desmo/belt service @ 15. Fingers crossed it remains reliable. 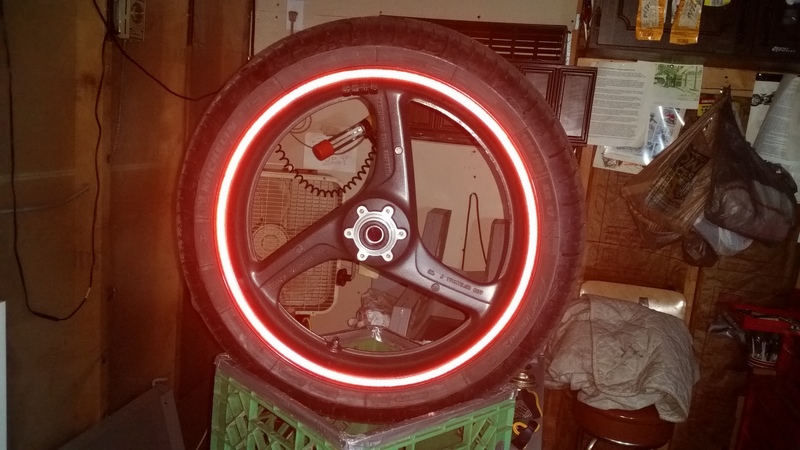 Skokie, where did you source the rim tape? 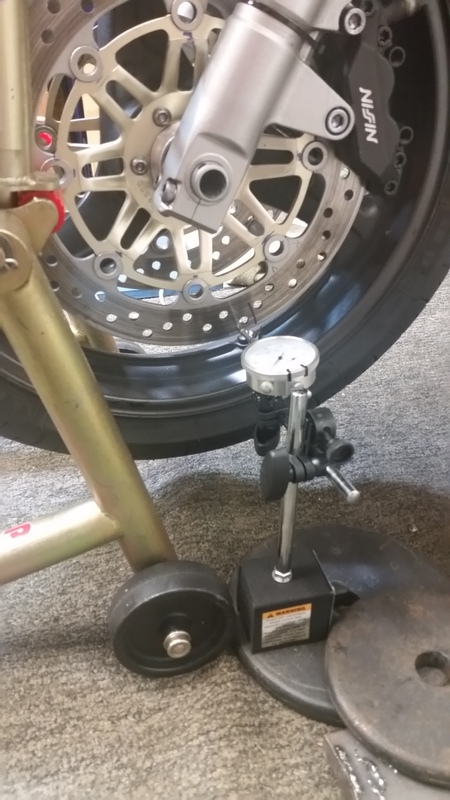 I am not religious about turning on the Scott Oiler because technically an O-ring chain only needs oil to keep from rusting, and I mix my own oil that IMO is as good or better than the pricey Scott oil (Synthetic chain saw bar oil and Marval Mystery Oil to thin and add color). And as I said, I ride in the rain a fair amount. 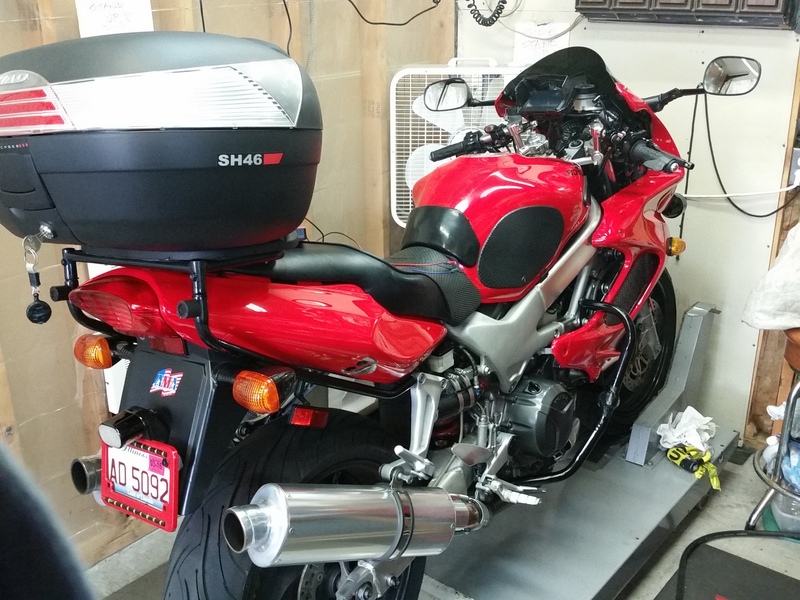 I have the Shad SH36 side cases, and they do look good on the FJ-09 and are only 3-inches wider than the accessory Yamaha OEM 22 liter cases which are made by Shad and don't fit a helmet (and the Yamaha cases cost over twice as much!). The SH36 each hold at minimum a 2XL flip-front helmet; I know, I fit in my 3XL Nolan N90! Their soft inner bags are also padded with two outer pockets and come with a shoulder strap (which can be hooked to and carry both bags with one strap if desired) for less than $60 for the pair. Watch the video in the below link. All the reviews on them are glowing and so far I know why. 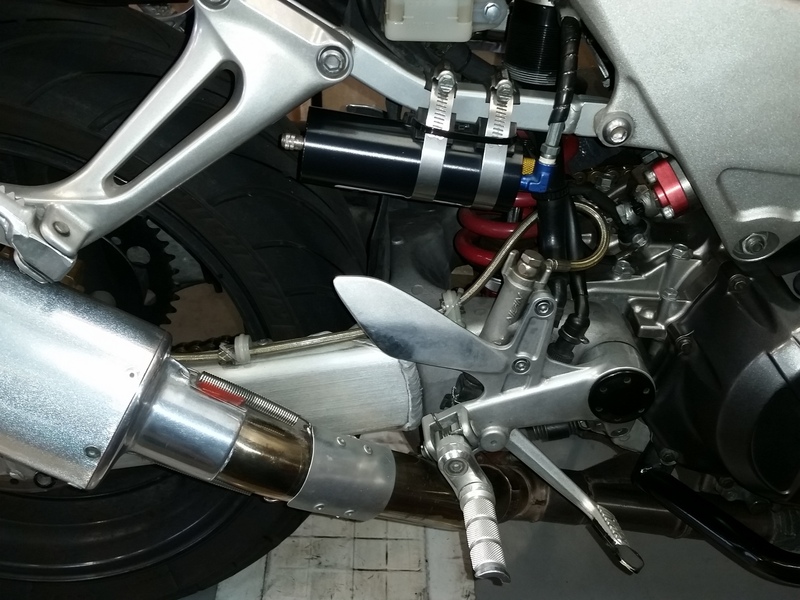 On my VTR I lowered the pegs 1-inch and moved them forward .75-inches. 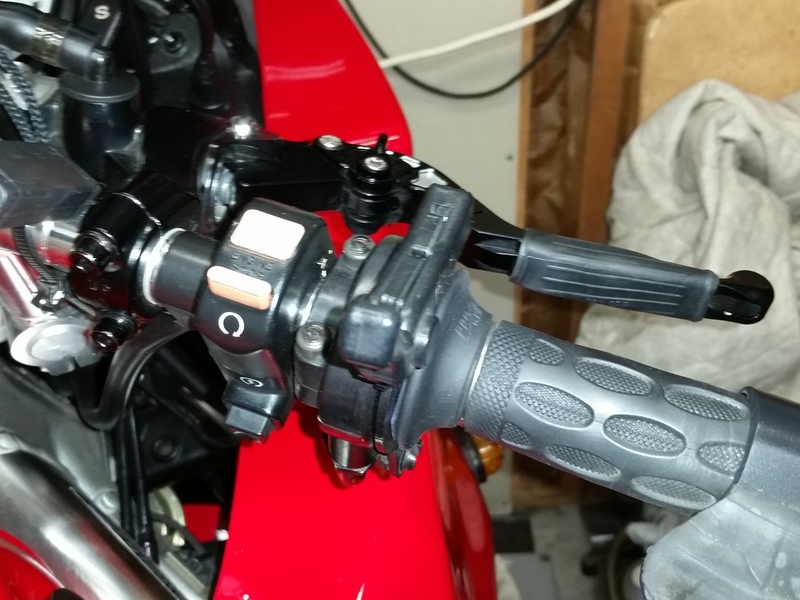 I also now have installed the DanMoto 3-D clip-ons (after using the Helibars for years, and then the Tommaselli 3-axis clip-ons), which I have set about 3.5-inches higher and 2.25-inches rearward. The 3-Ds are also 2-inches overall wider and I have them set with 10 degrees more sweep than OEM. 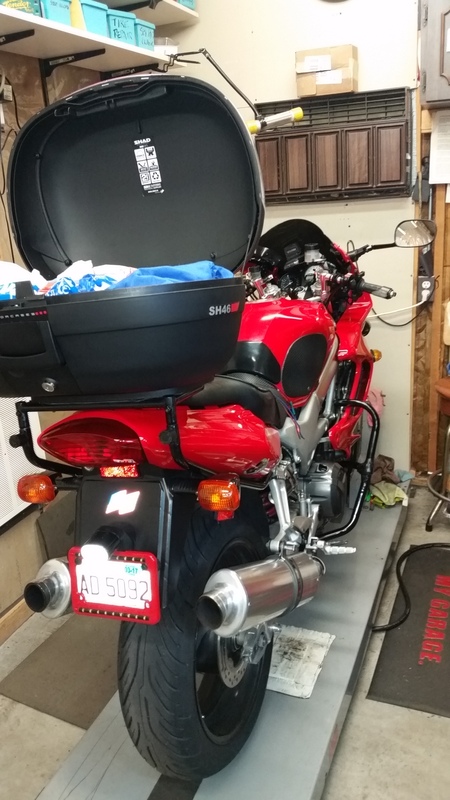 Plus I modified my Sargent saddle with memory foam so it is 1-inch higher and I also angled up the front more, along with carving in my patented "Tush Pan" and "Ball Pocket". Believe me at almost 62, I know about pain! However, if I keep up with the Ibuprofen I can manage 10+ hours in the saddle and/or 500 mile days whichever is lesser. 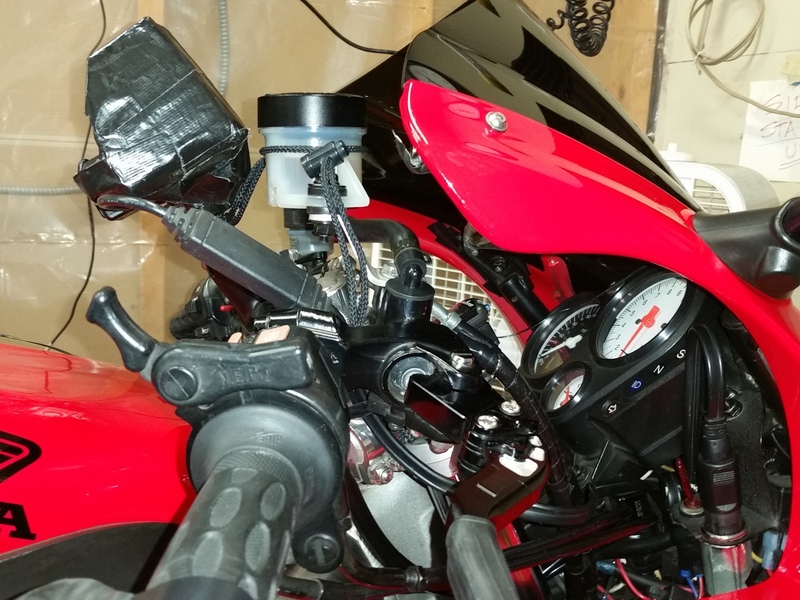 I also built a 1.25 gallon larger tank for my VTR bu with my prostate and bladder issues I never use it because the stock tanks range of 120 miles or so is more than enough before I need a pit stop, if not sooner. What year Multi do you have? Whatever newer version it sounds like you got a great deal but does the $10k include the $2,500? If so you got a super deal! 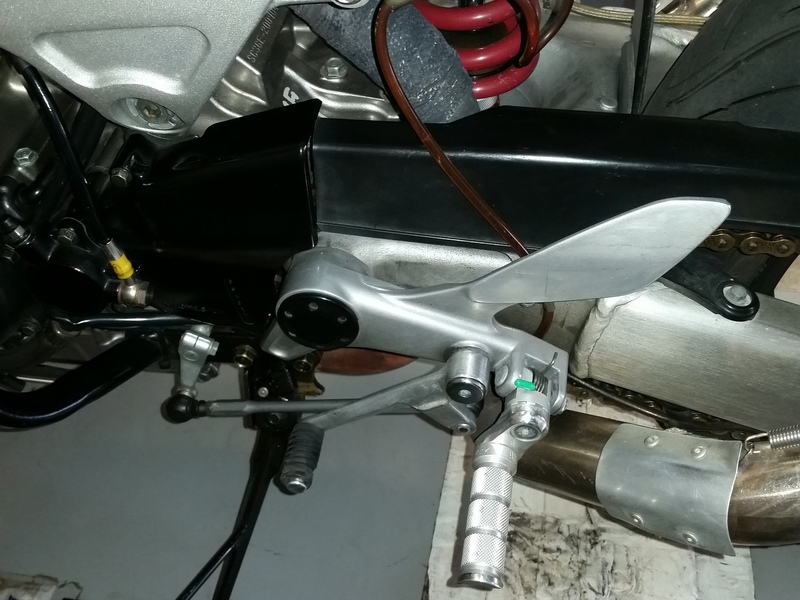 I am just a new handlebar and radar detector away from bliss on my FJ-09 but stainless brake lines and some suspension work are in the cards for the long winter. That tape looks like road sign material! I like it, even if it is pricey. Cases are really nice. 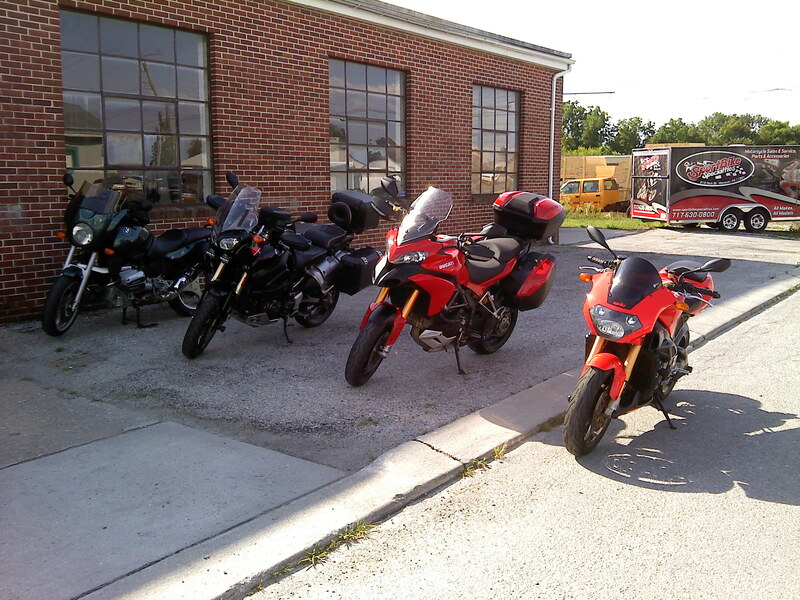 All the Duc's are Givi made. He was asking 11,5 and he took 10, all the goodies included. He was a rich guy that could afford the depreciation hit to move up to a newer model. A lotta bike for the money. 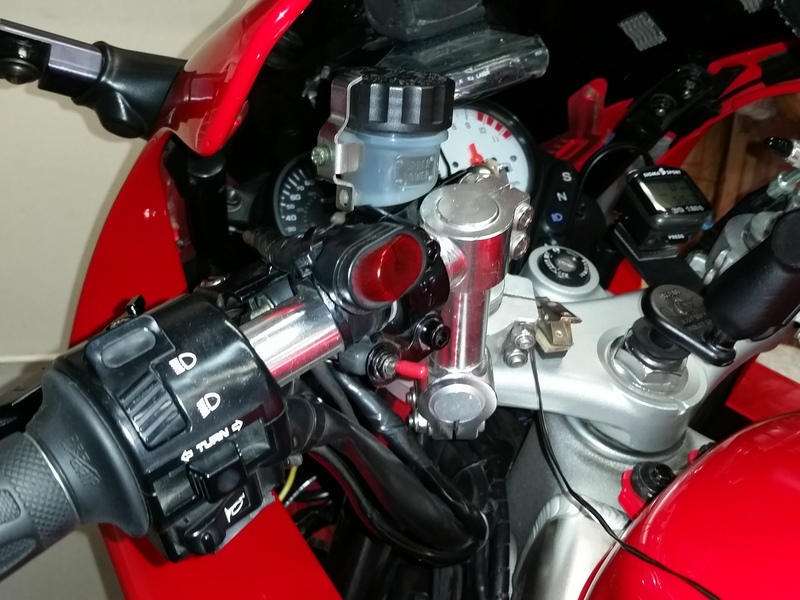 Does you current Hawk bar set-up touch fairing @ full lock? 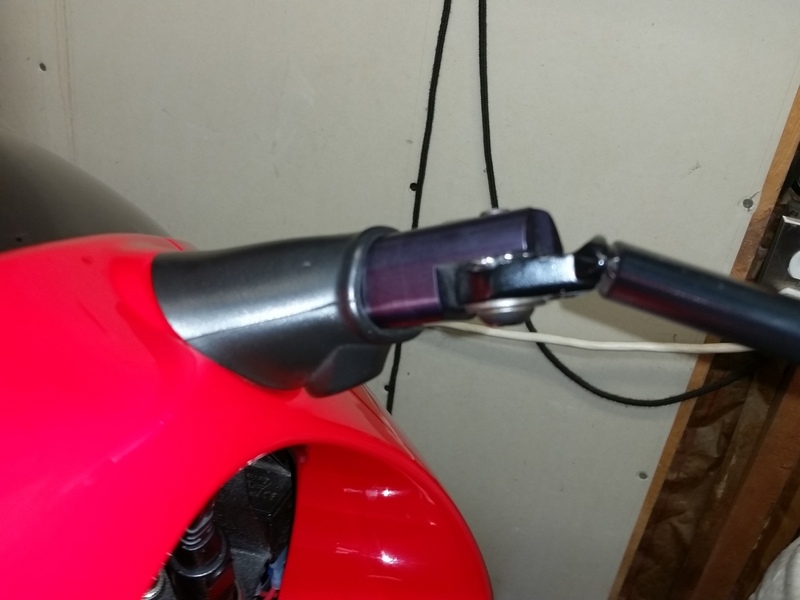 I drilled and tapped a hole (1/8" or maybe 3/16", can't remember as I did it a decade ago for the Tommasellis) and threaded in a hex drive set screw on both sides of the frame in the middle of where the triple-tree stops contact to slightly limit lock-to-lock travel. 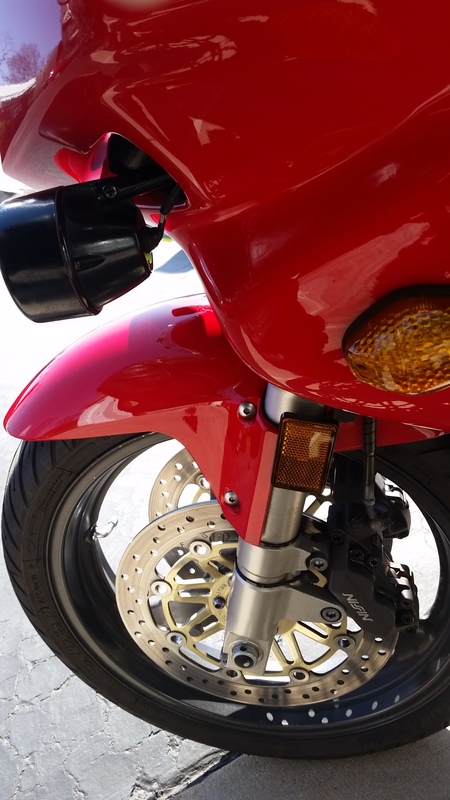 Yes, tight low speed and U-turns are wider but it ensures no bar-tank contact. I have everything adjusted so the bars just touch the fairing at full lock but not enough to move it or rub off the paint; and this was without trimming the fairing. Here are some better pics of the ergonomic mods I've made. '10. 11 degree Testastretta motor. Haven't heard of any crank bearing issues on the new Multi's. I did read of a few issues with the old air cooled models so I stayed away. 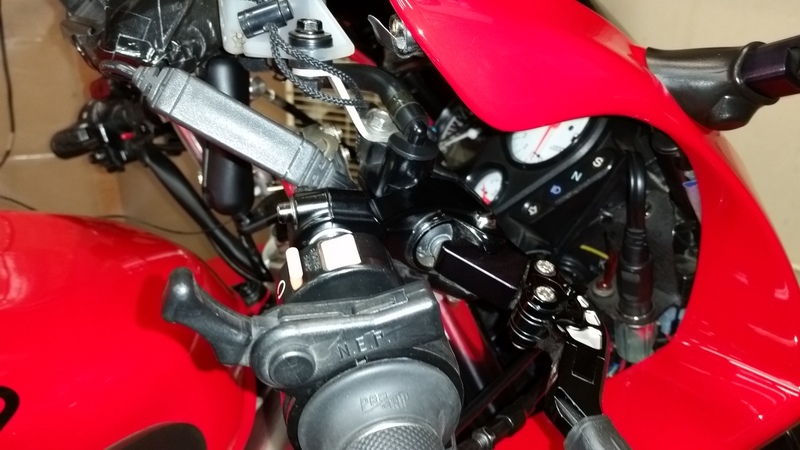 Only the "new" Panigale series of engines has a "modern" split crank journal plain babbit bearing crank assembly. All their other engines, including the MS, use an "antiquated" pressed-together ball bearing crank assembly that is more costly to manufacture, more susceptible to marginal assembly, imbalance and associated harmonic vibration, lateral loads and oil contaminants, and thus is comparatively (to a plain babbit bearing crank) much more expensive to repair and is usually instead replaced. Last edited by skokievtr; 08-04-2016 at 07:00 PM. I'm digging the duct tape IFR hood on the what looks like a GPS. Clean bike, but much too complex for my brain. What type/brand of bars in the photos? 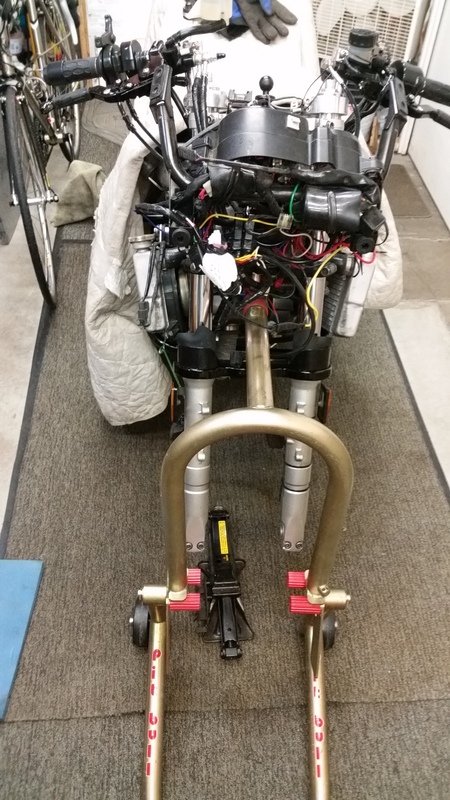 Clean bike, but much too complex for my brain. YOU DON'T KNOW HOW REALLY COMPLEX IT IS WITH OVER 75 MODIFICATIONS, MANY OF WHICH ARE HIDDEN FROM READY VIEW AND/OR ARE INTERNAL. I need opinions on wedding rings and jewelry.....anyone...anyone?